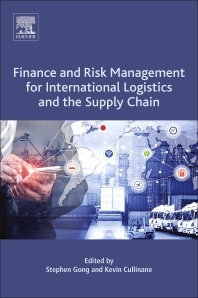 2.2 Supply Chain Finance: What Is It, and What Do We (Not) Know? Stephen Gong is a Senior Lecturer at the Auckland University (New Zealand) Graduate School of Management, in Business and Economics. His research interests include shipping logistics, broad areas of corporate finance, financial reporting, and transportation economics. Prior to joining academia he managed the shipping logistics department of a multinational company in Jamaica. He has also consulted with government agencies and international organizations in the areas of transport logistics, and international trade. He has been published in many journals, including Elsevier’s Transportation Research Part E: Logistics and Transportation Review, Transport Policy, and the Journal of Air Transport Management. Kevin Cullinane is a Professor of International Logistics and Transport Economics at Gothenburg University (Sweden). He has been an adviser to the World Bank and governments of Scotland, Ireland, Hong Kong, Egypt, Chile and the U.K. He holds an Honorary Professorship at Hong Kong University and numerous Visiting Professorships, including at the Swedish National Road and Transport Research Institute. He has been published in 10 books and more than 200 journal articles, and is an Associate Editor of Elsevier’s Transportation Research A: Policy and Practice, and Transportation Research Part D: Transport and Environment journals. An outstanding effort by two leading colleagues. Most enjoyable and informative reading.